They were the epitome of Southern dash and chivalry, modern cavaliers in the modern American Civil War. George Dallas Mosgrove became one of them when he mounted a charger in Kentucky and rode off to Dixie to serve the cause of the Confederacy. Only eighteen years old, Mosgrove fought with some of the leading lights of the Southern cause as he risked life and limb with his comrades in battle. 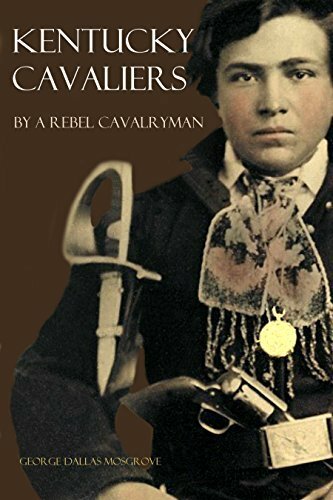 In a work of great affection and erudition that took him years to write, Mosgrove tells the true story of his time in arms with the Fourth Kentucky Cavalry Regiment.